Need a new website to spend many an hour on exploring great articles, finding new recipe ideas and lusting over some amazingly fashionable fitness clothing? Then say hello to Fashercise, the brain child of Camille Roegiers and Alex Vanthournout. 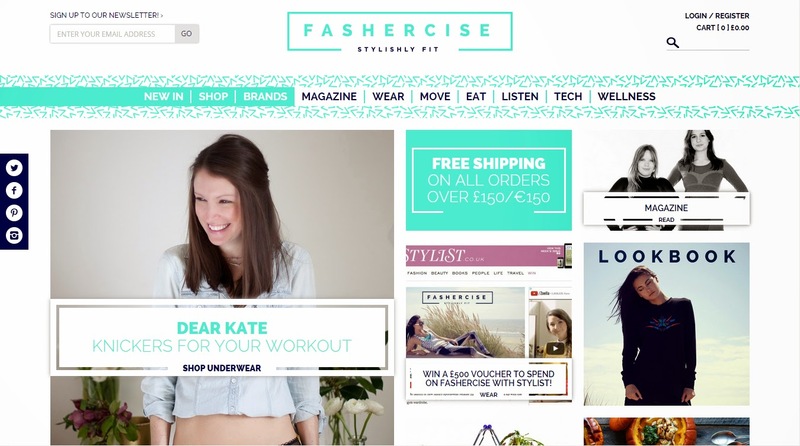 Your new one stop shop for healthy eating, beauty, well being, fitness and of course fashion. With articles ranging from "10 ways to eat quinoa for breakfast" to the latest in tech; you need to check this site out. The shop sections sports high end independent brands such as Lexie Sport and Monreal London. It's the perfect place to discover new fashionable clothing that will definitely raise your fashion stakes whilst providing super comfortable work out gear. Whilst I could go on and on about why this site is brilliant, check it out for yourself and see what you think! The other links - Instagram, Twitter, Facebook and Pinterest.